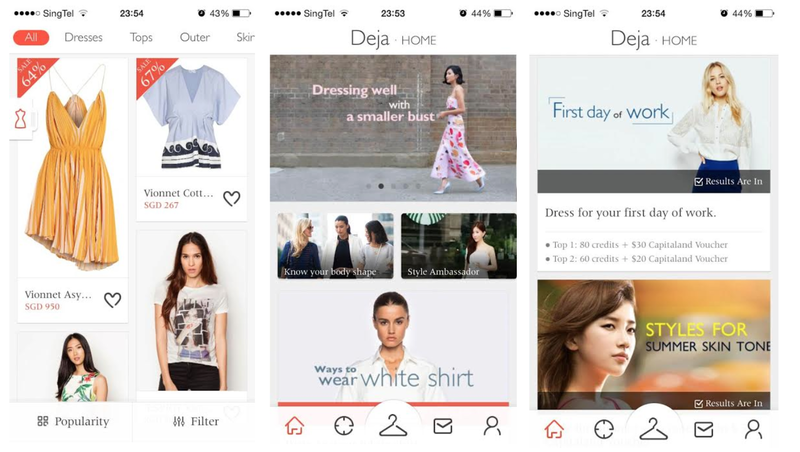 Recently I have downloaded an application called "Deja"
It is a Fashion Advisor, Virtual Mannequin & Look-Book, to get your everyday fashion inspriations on the go. On my very first attempt of finding my inner style, I spent some time, mixing and matching different clothes to create many different styles, with both, styles that I am usually comfortable in and even bigger and louder styles that I've always wanted to try but never had the courage to. Deja has a virtual mannequin that looks like you and allows you to try on clothes for a real time style assessment before you shop online. The best part about Deja is that it helps me explore new styles and find the right clothes unique to me. On the left hand side, it's something that I would wear out. It is considered my "safe" go to look for events. On the right, it's something that puts me out of my comfort zone. I've never liked or tried wearing collared shirts, neither have I tried on pants which has striking colours. This app allows me to try this look out! on a date and many more! They also have competitions for you to earn prizes and credits. I participated in a styling event: Dressing for an interview and win the first prize- $30 capital mall voucher! How awesome! You can not only explore your unique styles and get inspired by other people but also increase your budget to shop. Follow others to also see their style creations. I have created some outfits so do follow me back if you decide to download the app! 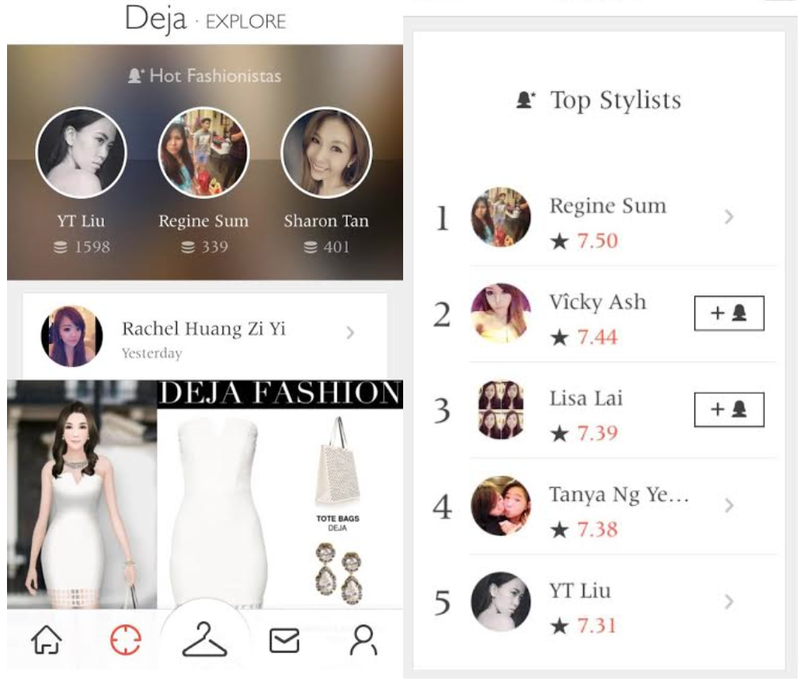 Download Deja and see how fun and easy it is.